Up to 45% of Americans make resolutions for the new year, people who make new year’s resolutions are ten times more likely to achieve their goals than individuals who don’t make resolutions. For the new year, business owners might be hoping to grow their business by expanding their customer base, increasing their revenue, or by boosting customer satisfaction. 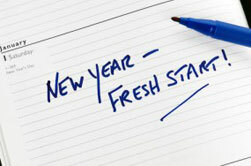 Adding an ATM to your business is a great way to achieve your new year’s resolution of growing your business. Installing an ATM offers many advantages for your business. An ATM can expand your customer base by attracting new people into your establishment. Shoppers looking for an ATM may visit your business for the ATM but could also become customers. By offering a valuable customer service, new people will be more likely to use your business. An American Express Survey conducted in 2011 found that 3 out of 5 Americans would try out a new company or brand in order to receive a better service experience. An ATM could also bolster customer satisfaction and enhance your customers’ experience with your business. A convenient ATM saves time for your customers and keeps them in-store rather than forcing them to go elsewhere to withdraw cash. Customers appreciate things that provide them with a better experience, 7 out of 11 Americans will spend more money at a business if they feel that they are receiving good service. An ATM can also increase your business’s revenue; the ATM fee users pay to use the machine contributes to your overall revenue. In addition, customers using an ATM spend up to 25% more money that those who do not use an ATM. America’s ATM can help you meet your goals to expand your business by providing ATMs for your establishment. America’s ATM was founded in Plantation, FL and has since become a leading provider in ATM space, offering businesses multiple options for adding an ATM, including the Free ATM Placement Program, the Free ATM Partner Program, or the ATM Processing Program. America’s ATM provides ATMs, financial service kiosks, and marketing products to small and medium-sized businesses; the experienced team at America’s ATM understands the needs of businesses and can help business owners customize a program that best serves their needs. Call America’s ATM at 877-475-1104, or, visit the website, http://americanatm.com/ to learn more.